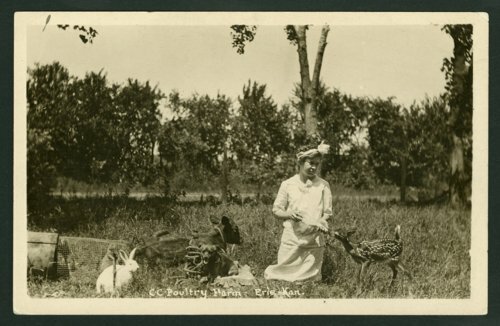 This sepia colored postcard shows a young girl feeding a baby fawn while other animals look on. In the lower portion of the image C.C. Poultry Farm Erie, Kansas is written.